As it is Ramadan again, I thought it would be a good idea to re-post this blog post to help keep us fasting people motivated lol. It is the third day in and this year I can honestly say I am struggling. Summer Ramadan’s are not the one, the day is so long and come 9.20pm I am not the most pleasant person to be around but at least I know I will look younger. Please re-blog, re-tweet and like the post. Ramadan Kareem everyone, Love, Light and blessings to all. Hope you have all been well. Some of you may know that it is the holy month of Ramadan in the Islamic calender. This special month means that from sunrise to sunset, people of the Muslim faith abstain from eating and drinking (yes, not even water!!!). Ramadan is my favorite month, but I have to admit, this year it has been tough as the days are super long and I am definitely feeling it. A friend of mine sent me this link to the third horizon episode called Eat, Fast and Live Longer presented by Michael Mosley. 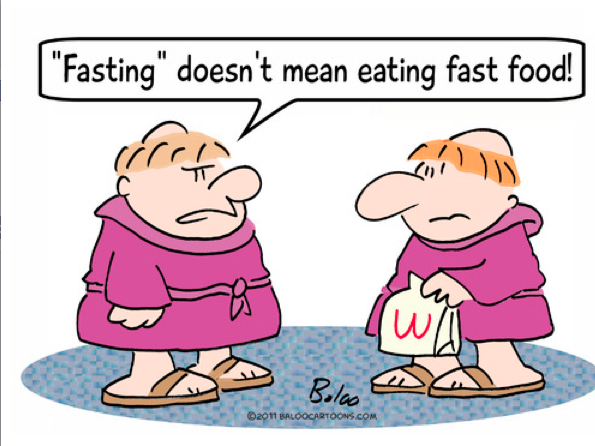 I wanted to write a post on the scientific health benefits of fasting towards the beginning of the month but it is so much and can get very complicated. This episode is the perfect introduction into the world of health metabolics and you can see Mr Mosley take him-self through all the different types of fasts and the huge mental and physical health benefits he personally gained from actually doing the fasts. Clink on this link and watch it on bbc iplayer before it’s gone. In-case you do not have the time to watch the whole episode. I am going to do my best to summarise the power of fasting here. Mosley goes through different phases of food restrictions before delving into fasting. Calorie restriction, eating well but not much, is one of the few things that has been shown to extend life expectancy, at least in animals. We’ve known since the 1930s that mice put on a low-calorie, nutrient-rich diet live far longer. This is also true in monkeys, the mammal of choice for testing a theory before human trials. Why I hear you ask does this mouse have such a healthy and long life? the answer is it has been genetically engineered so its body produces very low levels of a growth hormone called IGF-1, high levels of which seem to lead to accelerated ageing and age-related diseases, while low levels are protective. Tah Dah! A similar, but natural, genetic mutation has been found in humans with Laron syndrome, a rare condition that affects fewer than 350 people worldwide. The very low levels of IGF-1 their bodies produce means they are short, but this also seems to protect them against heart disease, strokes, cancer and diabetes, all age-related diseases. The IGF-1 hormone (insulin-like growth factor) is one of the drivers which keep our bodies in go-go mode, with cells driven to reproduce. This is fine when you are growing, but not so good later in life, it makes us get old :-/. How does all this relate to fasting? I’m getting there, evidence suggests that IGF-1 levels can be lowered by what you eat. The reason seems to be that when our bodies no longer have access to food they switch from “growth mode” to “repair mode”. As levels of the IGF-1 hormone drop, a number of repair genes appear to get switched on according to ongoing research by Professor Valter Longo of the University of Southern California. Mosley had a go fasting for 3 days and saw his levels of IGF-1 drop by over half, dramatically reducing his chances of age associated diseases and diabetes, to 1 in a billion! His face on hearing this information is priceless. Finding three continuous days of fasting difficult he researches fasting diets further and goes for the Alternate Day fasting (ADF). This diet involving eating what you want one day, then a very restricted diet (fewer than 600 calories) the next, and most surprisingly, it does not seem to matter that much what you eat on non-fast days says Dr Krista Varady of the University of Illinois at Chicago who carried a range of clinical trials. Mosley decided, he couldn’t manage ADF, it was just too impractical. Fair enough, he was being honest with himself. Instead he did an easier version, the so-called 5:2 diet. As the name implies you eat normally 5 days a week, then two days a week you eat 500 calories if you are a woman, or 600 calories, if you are a man. It worked for him but it is important to note that there are no firm rules because so far there have been few proper human trials. The final conclusion, fasting can be good for you both physically, mentally and spiritually. Why not try it? If you want to read some of the hard-core science click on this link. Hope you enjoyed the read, now I’m going to enjoy my fasting experience just that little bit more knowing that it’s giving my aging processes a run for it’s money. I’m working on being forever young again like Ghost. Click on the video below for Napolean Dynamites reinterpretation of Forever Young. Until next time, happy fasting. This entry was posted in Health, Love, Life, Science Theories and tagged #beauty, #geekout, education, fasting, food, geek, health, life, lifestyle, lookinggood, love, nerd, science, scienceeducation, younger by Faith In Geeks. Bookmark the permalink.